Panospace has its own unique design with a user friendly interference for everyone. It is fully assembled and comes pre-leveled. It is as easy as plug in and print! The color touch screen just makes it even easier to use. Panospace uses PLA plastic filament (1.75 mm) which is the most common 3D printing material. After slicing your model you can choose between plugging it in directly to your computer or use the micro SD-card that comes along with the printer. Just press print on the touch screen and watch your model develop. 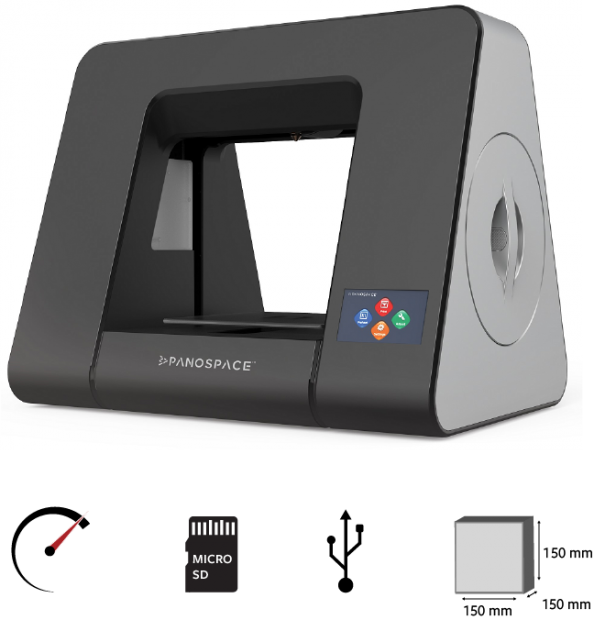 Panospace 3D printer is also one of the most efficient desktop 3D printers in the market.